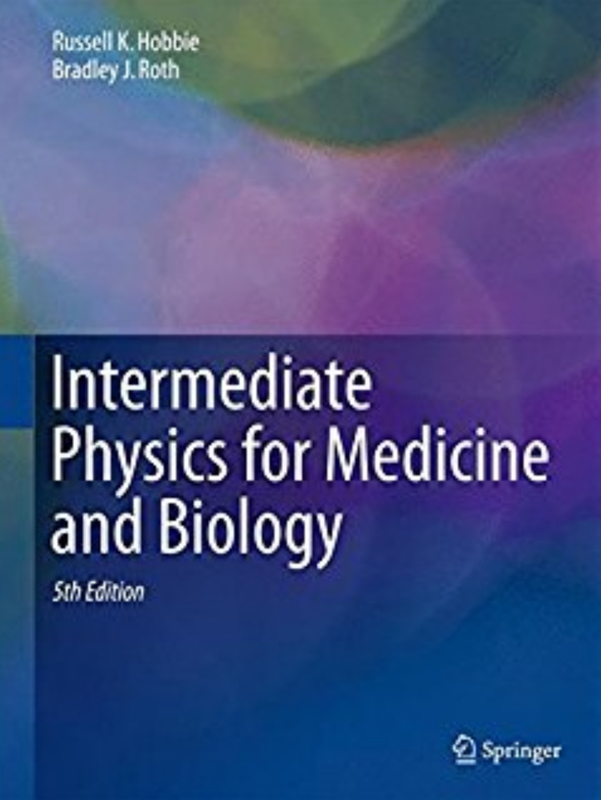 Intermediate Physics for Medicine and Biology: The Radiation Dose from Radon I like Fermi problems: those back-of-the-envelope order-of-magnitude estimates that don’t aim for accuracy, but highlight underlying principles. I also enjoy devising new homework exercises for the readers of this blog. Finally, I am fascinated by radon, that radioactive gas that contributes so much to the natural background radiation. Ergo, I decided to write a new homework problem about estimating the radiation dose from breathing radon. What a mistake. The behavior of radon is complex, and the literature is complicated and confusing. Part of me regrets starting down this path. But rather than give up, I plan to forge ahead and to drag you—dear reader—along with me. Problem 57 1/2. Estimate the annual effective dose (in Sv yr-1) if the air contains a trace of radon. Use the data in Fig. 17.27, and assume the concentration of radon corresponds to an activity of 150 Bq m-3, which is the action level at which the Environmental Protection Agency suggests you start to take precautions. Make reasonable guesses for any parameters your need. Here is my solution (stop reading now if you first want to solve the problem yourself). In order to be accessible to a wide audience, I avoid jargon and unfamiliar units. One bequerel is a decay per second, and a cubic meter is 1000 liters, so we start with 0.15 decays per second per liter. The volume of air in your lungs is about 6 liters, implying that approximately one atom of radon decays in your lungs every second. Radon decays by emitting an alpha particle. You don’t, however, get just one. Radon-222 (the most common isotope of radon) alpha-decays to polonium-218, which alpha-decays to lead-214, which beta-decays twice to polonium-214, which alpha-decays to lead-210 (see Fig 17.27 in Intermediate Physics for Medicine and Biology). The half-life of lead-210 is so long (22 years) that we can treat it as stable. Each decay of radon therefore results in three alpha particles. An alpha particle is ejected with an energy of about 6 MeV. Therefore, roughly 18 MeV is deposited into your lungs each second. If we convert to SI units (1 MeV = 1.6 × 10-13 joule), we get about 3 × 10-12 joules per second. Absorbed dose is expressed in grays, and one gray is a joule per kilogram. The mass of the lungs is about 1 kilogram. So, the dose rate for the lungs is 3 × 10-12 grays per second. To find the annual dose, multiply this dose rate by one year, or 3.2 × 107 seconds. The result is about 10-4 gray, or a tenth of a milligray per year. If you want the equivalent dose in sieverts, multiply the absorbed dose in grays by 20, which is the radiation weighting factor for alpha particles. To get the effective dose, multiply by the tissue weighting factor for the lungs, 0.12. The final result is 0.24 mSv per year. The distribution of radon progeny (such as 214Po) is complicated. These short-lived isotopes are charged and behave differently than an unreactive noble gas like radon. They stick to particles in the air. Your dose depends on how dusty the air is. How these particles interact with our lungs is even more difficult to understand. Some large particles are filtered out by the upper respiratory track. The range of a 6-MeV alpha particle is only about 50 microns, so some of the energy is deposited harmlessly into the gooey mucus layer lining the airways (see https://www.ncbi.nlm.nih.gov/books/NBK234233). Ironically, if you get bronchitis your mucus layer thickens, protecting you from radon-induced lung cancer. The progeny and their dust particles stick to the bronchi walls like flies to flypaper, increasing their concentration. Filtering out dust and secreting a mucus layer reduces the dose to the lungs, while attaching the progeny to the airway lining increases it. My impression from the literature is that the flypaper effect dominants, and explains why my estimate is so low. The uranium-238 decay chain shown in Fig. 17.27 is the source of radon-222, but other isotopes arise from other decay chains. The thorium-232 decay chain leads to radon-220, called thoron, which also contributes to the dose. I am not confident about my value for the mass. The lungs are a bloody organ; about half of their mass is blood. I don’t know whether or not the blood is included in the reported 1 kg mass. The radon literature is oddly silent about the lung mass, and I don’t know how these authors calculate the dose without it. I ignored the energy released when progeny beta-decay, which would cause a significant error if my aim was to calculate the absorbed dose in grays. But if I want the effective dose in sieverts I should be alright, because the radiation weighting factor for electrons is 1 compared to 20 for alpha particles. The radon literature is difficult to follow in part because of strange units, such as picocuries per liter and working level months (see https://www.ncbi.nlm.nih.gov/books/NBK234224). Radon can get into the water as well as the air. If you drink the water, your stomach gets a dose. With a half-life of days, the radon in this elixir has time to enter your blood and irradiate your entire body. Does the dose from radon lead to lung cancer? That depends on the accuracy of the linear no-threshold model. If there is a threshold, then such a small dose may not represent a risk. If you want to learn more about radon, read NCRP Report 160, ICRP Publication 103, or BEIR VI. Of course, you should start by reading Section 17.12 in IPMB. What do I take away from this estimation exercise? First, radon dosimetry is complicated. Second, biology problems are messy, and while order-of-magnitude estimates are still valuable, your results need large error bars.